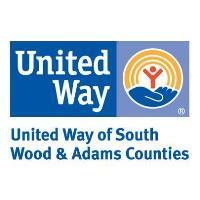 WISCONSIN RAPIDS, WI – United Way of South Wood & Adams Counties is now distributing the 2019 Help Guide for South Wood County. So far, over 11,000 Help Guides have been distributed throughout south Wood County, including non-profit organizations, government offices, clinics, banks, gas stations, and churches. The 2019 Help Guide for South Wood County has also been distributed to each school district to be sent home with every elementary school student, including Assumption Catholic Schools, Port Edwards Public Schools, Nekoosa Public Schools and Wisconsin Rapids Public Schools. The 2019 Help Guide for Adams County is also available. If your business or organization distributes information to people in need, and would like to include the Help Guide, please contact the United Way office at 715-421-0390 or send an email to angie@uwswac.org. · Visit uwswac.org/help-guide to download a copy. · Call 715-421-0390 to have a copy mailed to you. · Stop into the United Way office at 351 Oak Street, Wisconsin Rapids during business hours (8:30am – 4:00pm, Monday-Friday). The Help Guide is supported by grant funds through Incourage.